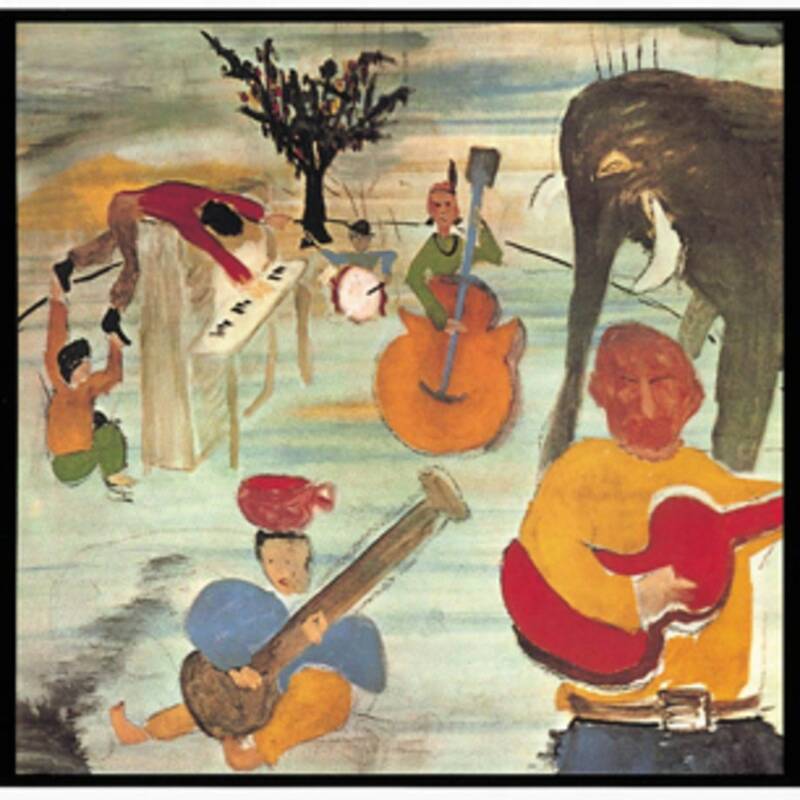 The Band, Music From Big Pink album photograph, Woodstock NY, 1968. Photo © Elliott Landy, LandyVision Inc. Exclusively for the boxed set, Clearmountain has also produced a new 5.1 surround mix for the album and the bonus tracks, presented on Blu-ray with the new stereo mix in high-resolution audio (96kHz/24bit). All the new audio mixes have been mastered by Bob Ludwig at Gateway Mastering. 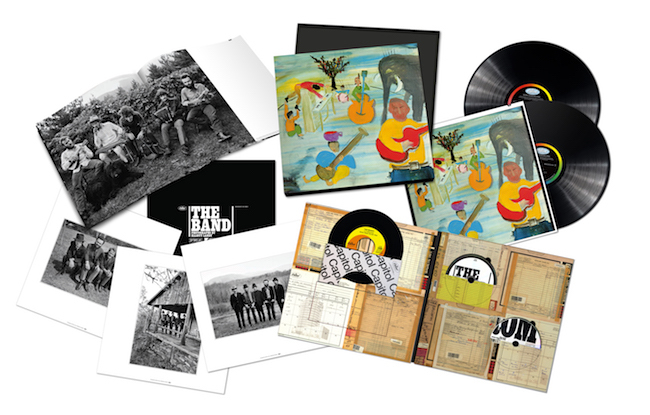 The boxed set also includes an exclusive reproduction of the Band’s 1968 7-inch vinyl single for “The Weight”/“I Shall Be Released” in their new stereo mixes and a hardbound book with a new essay by noted music journalist David Fricke and classic photos by Elliott Landy. For the album’s new vinyl editions, Chris Bellman cut the vinyl lacquers for the album’s new stereo mix at 45rpm at Bernie Grundman Mastering, expanding the album’s vinyl footprint from one LP to two. The black and pink vinyl LPs were pressed at GZ Vinyl/Precision. Starting today, the new stereo mix of “The Weight” is available for streaming and for immediate download with digital album preorder. Before naming themselves The Band, the group’s members shared an extensive collaborative history. 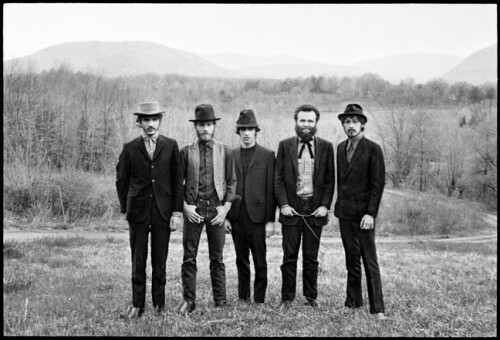 Between 1960 and 1962, then-teenaged multi-instrumentalists Levon Helm (drums, vocals, mandolin), Robbie Robertson (guitar, piano, vocals), Rick Danko (bass, vocals, fiddle), Richard Manuel (keyboards, vocals, drums), and Garth Hudson (keyboards, horns) first performed and recorded together as members of Ronnie Hawkins’ backing band, the Hawks. In late 1963, the Hawks struck out on their own and became Levon & the Hawks, playing and recording under this name in 1964 and 1965. In 1965, Robertson met with Bob Dylan in New York, just as Dylan was seeking an electric guitarist for his touring band. All the former Hawks backed Dylan on the road from October 1965 through 1966 as he incensed audiences in the U.S., Australia and Europe, performing electric sets. Disheartened by the vocally disdainful “folkie purist” audience response to their first plugged-in performances with Dylan, Helm left the group in November 1965. After the 1966 tour concluded, Robertson, Danko, Manuel, and Hudson woodshedded for the next year at the ‘Big Pink’ house in West Saugerties, New York, often in the company of Dylan, who lived in nearby Woodstock. Helm re-joined them in October 1967 and The Band was born, as the group wrote new music and prepared to record their first full-length album.